Beltane, May Day, has long been one of the most important festivals of the agricultural year, when our ancestors danced around maypoles, leaped across fires, and chose mates or thought about it. It’s easy to see why. The earth is fully awake and full of the promise of the year’s abundance. Flowers are everywhere. Salad bowls brim with the first fruits of the soil. 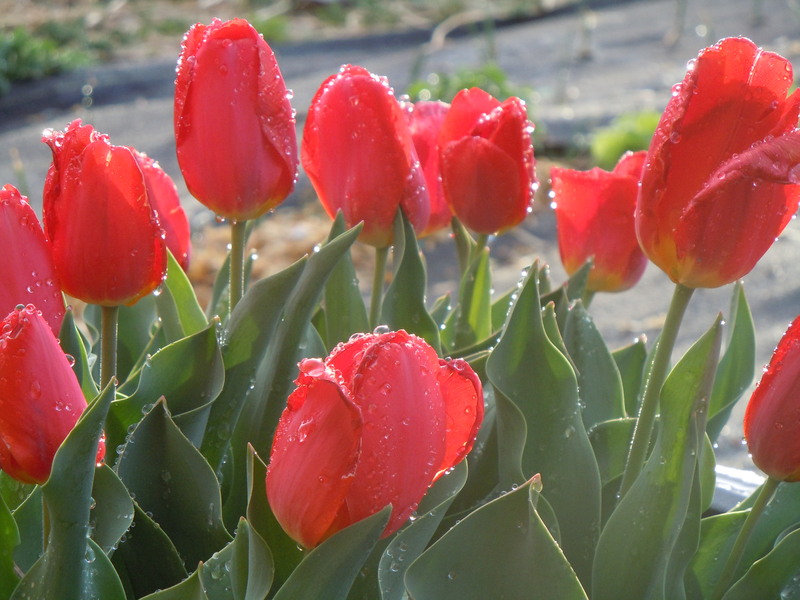 The frosts are largely past, and we can entrust ourselves to the splendors of the unfolding season. Hens lay, cows and goats give milk, and urban homesteading is briefly and exquisitely simple. This is also the main planting season, and there’s so much to do in each lengthening day that I seldom feel like making fussy meals. The hens are laying mightily, and eggs can be turned into a series of light fresh meals. Here, scrambled egg tacos combine great eggs from your hens or the farmers’ market with good soft corn tortillas, avocados, and your favorite fiery red salsa, either homemade or bought. This is too simple to be called a recipe. For two people, prepare eight corn tortillas by your preferred method; I toast mine briefly on a hot comal and put them in a clay tortilla-holder to keep hot. Have the salsa ready at room temp. Cut two good ripe avocados into chunks and dress them lightly with lemon juice and salt. I like to mash them into a very rough and chunky puree. Saute’ half an onion or the white part of a green onion, chopped finely, in butter or oil until cooked. Pour in 5 eggs and scramble them over medium heat, throwing in about half a teaspoon of salt and a good pinch of ground toasted cumin (a kitchen staple if you do much Mexican cooking, but you can omit it if you don’t have it or don’t want to make it.) When the eggs are done to your liking, pile them on two small plates and serve immediately with the tortillas, the salsa, and the avocados. 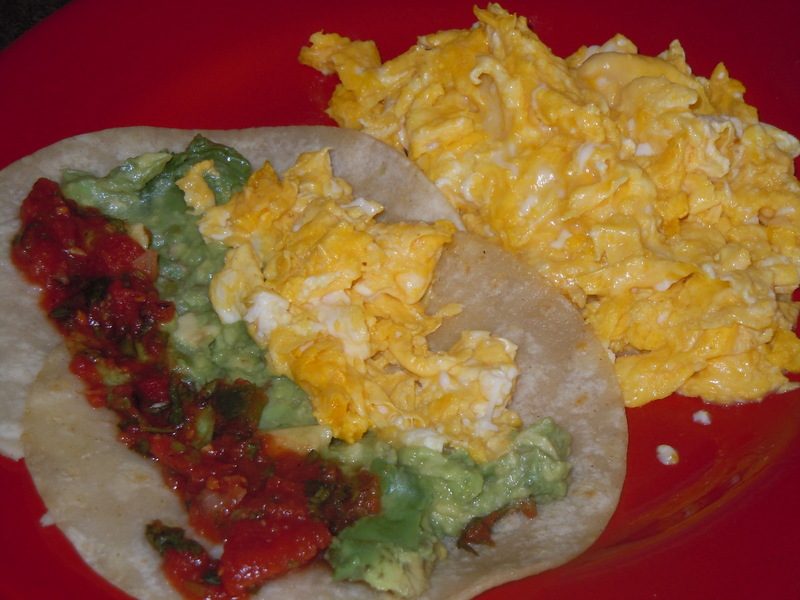 Roll some egg, some salsa, and some avocado in each tortilla, and eat messily.